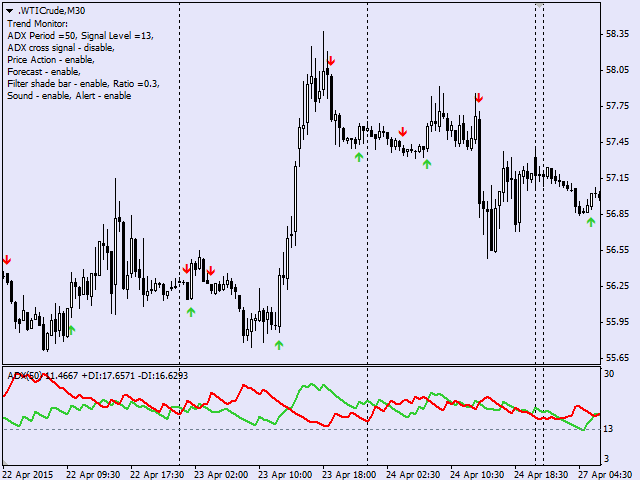 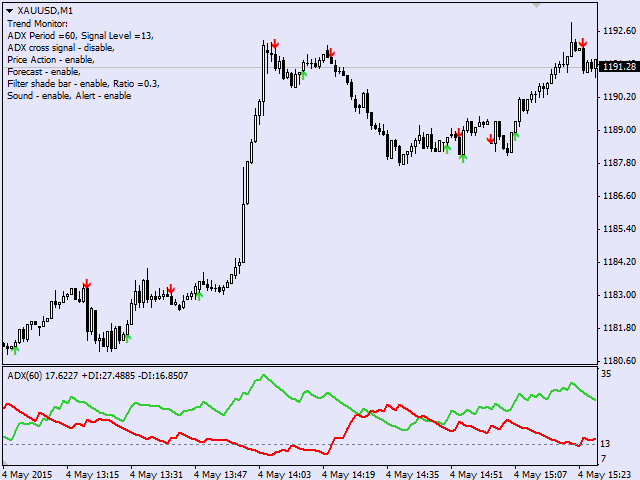 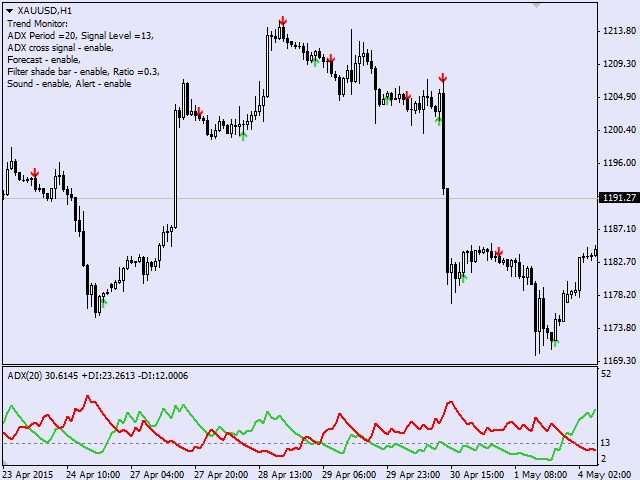 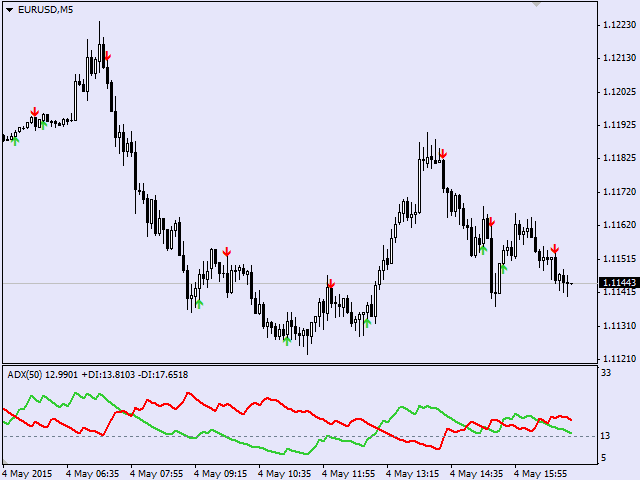 Demo version limitation: the indicator is fully functional on GBPUSD (history + real time). 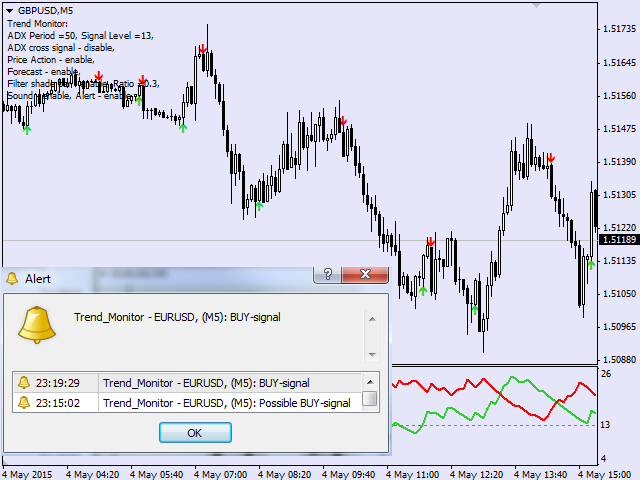 Signals on other instruments can be seen on the history (after 5 bars from the current one). 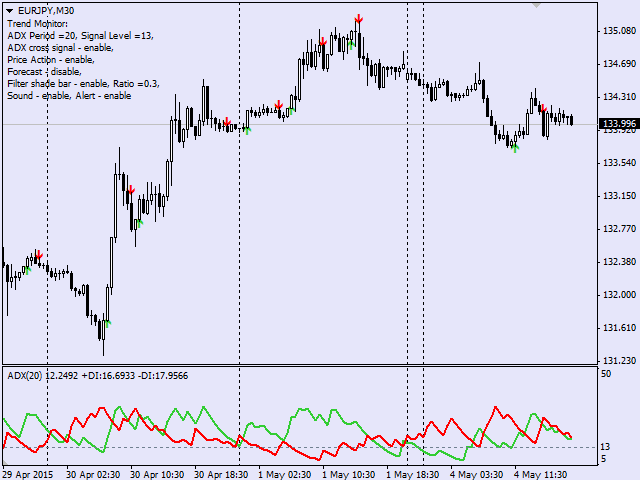 Not a good suggestion for trade, more signals are false in the test and has very noise. 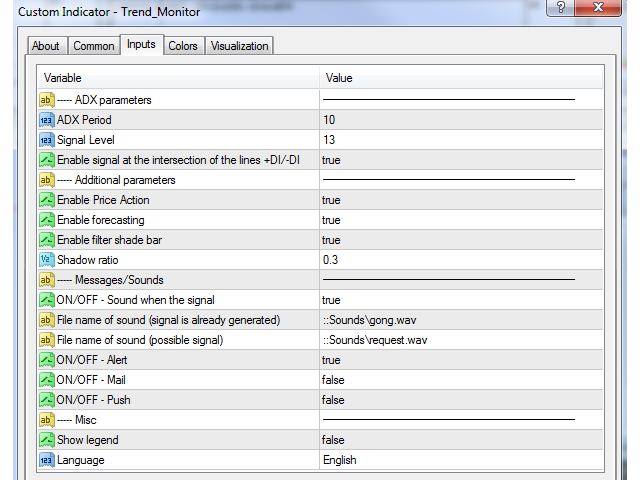 Sensitivity cannot be selected in the demo version. 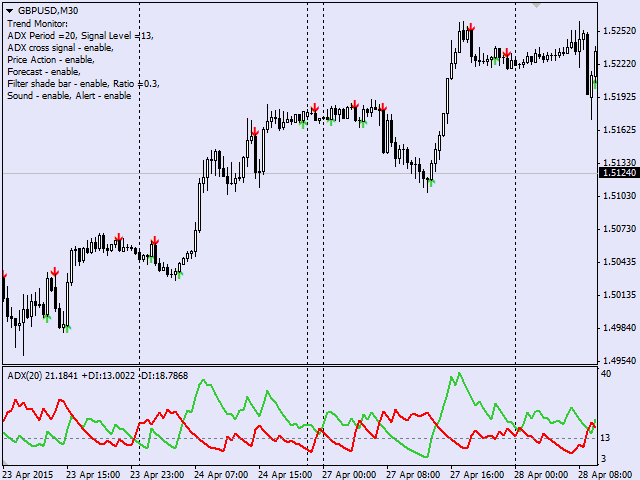 The indicator works in "Medium sensitivity" mode.